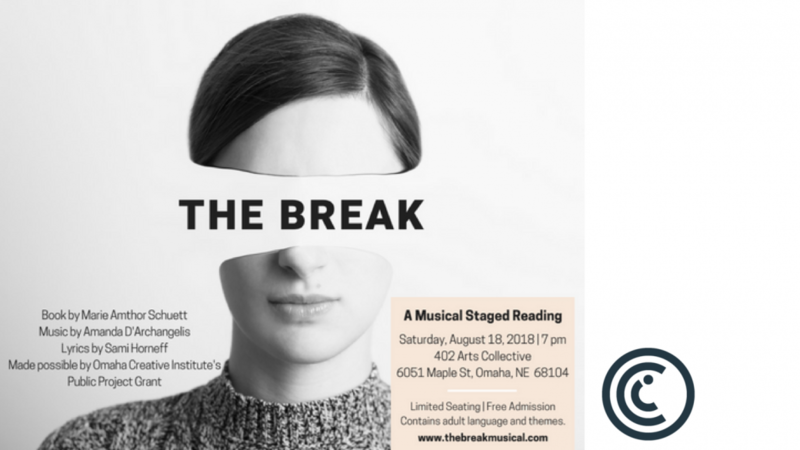 Marie Amthor Schuett shares her ideas and the process behind writing “The Break” which will have a staged reading Saturday August 18,2018. Why did this topic interest you? I love to see who women become when they stop trying to fit into the box they think they should. Expectations and responsibilities aside, who are we? What are we capable of welcoming into our lives? And who are we when we’re on our own compared to who we are when we’re in a relationship? That question fascinates me. The main character, Amy, decides that she’s been living on auto-pilot for too long. She’s 40, she’s a professor, and she’s been checking the right boxes all of her life until the moment presents itself and she gives herself the permission to be curious again. Curiosity and vulnerability are characteristics that really lend themselves to theatrical work. That character just opened up to me, Sami, and Amanda. She’s a culmination of all of us, I think. It’s like the strongest, most fabulous aspects of three creative women in the theatre world have combined to explore and create her, and we love her. Can you provide a synopsis? When, where will the reading occur?